Tightwad: What is a "minimum payment" on your credit card? What is a "minimum payment" on your credit card? 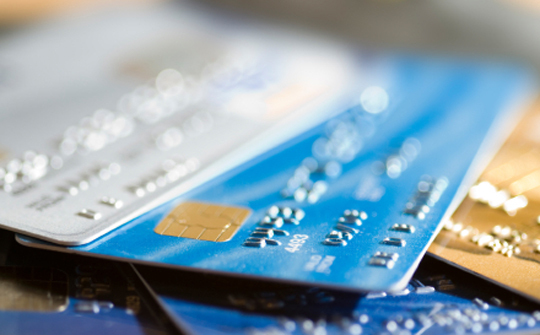 Purchases you make and charge to a credit card will require a regular payment on the balance. The minimum payment on a credit card is typically listed both on the initial agreement and the monthly bills. A minimum payment is usually calculated on the total amount owed or a flat fee, whichever is the greater of the two. This is the minimum amount due in order to avoid late fees or penalties. The problem with a minimum payment on a credit card is it is calculated in such a way that very little of the principal balance is paid. If you take a good look at your credit card statement and the minimum payment due, you'll find it covers the interest that has accrued over the last month and maybe a few dollars more. If you miss a payment, not only will you have the interest to pay, but also late fees. As everyone knows, it's easy to see that once you get into a bad cycle, it is very difficult to find your way out. The best strategy to managing your credit card is to pay off the balance due every month, or in other words, adopt a “pay as you go” type of plan. If you cease to look at your credit as “free money” and consider it as a short term stopgap, it is easier to plan ahead because the money you charge today is the money you'll have to pay back in thirty days or less, and it's going to cost you more. If you can't afford it today, will you be able to afford it when the statement comes due? If you are unable to pay the entire balance off at the end of the billing cycle, making a minimum payment is like spinning your wheels in a mud pit. You are not going to get anywhere. The only way to pay the credit card debt down to manageable proportions and save money on interest and finance rates is to pay down the principal. While it may be tempting to just make the minimum payment and call it a day, the truth is until you pay the principal down the money you have essentially borrowed will cost you much more in the long run. Your best bet is to save your credit card for emergencies and only when you can pay the balance off in full at the end of the billing cycle. In these tough economic times you have to charge smart and pay smarter. And, if problems do come up, be proactive and repair bad credit as soon as possible. Hey there - great post as usual. Haven't been around for a while as working got in the way of blogging. I'm back - blog name has changed so hope I didn't lose you. I'm a "pay it all off every month" person and I actually make money from my card by doing that - end up with more points than the card costs me so adds to my shopping ability!